Mumbai, Oct 31 (IANS) The Maharashtra government on Tuesday said the Army would build three footover bridges including the one at Elphinstone railway station where a stampede killed 23 people in September, sparking a political slugfest over the soldiers being used in civil works. The foot overbridges (FOBs) will be built on Elphinstone Road of Western Railway, and Currey Road and Ambivali stations of the Central Railway on the congested Mumbai suburban network. “Given the Army engineers’ expertise, they will construct the three foot overbridges by January 31. 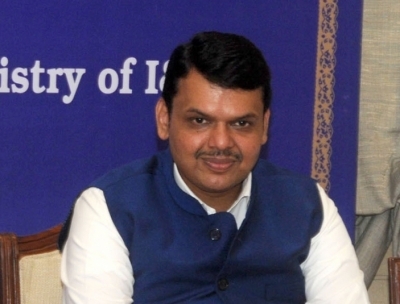 The Army has been very helpful to not just us but the society at large and I am very thankful to Defence Minister Nirmala Sitharaman and Railway Minister Piyush Goyal for this huge help to bring ease in Mumbaikars’ life,” Chief Minister Devendra Fadnavis told the media. Goyal said work on the bridges was expected to begin within 15 days, and in a later tweet, said it will be done by January 31, 2018. Western Railway Divisional Railway Manager Mukul Jain had told IANS that the Elphinstone Road bridge will be a new one, independent of the one being planned and constructed by the railways, and be be located towards the Parel side at the northern end of the Elphinstone Road station. He said an Army team will identify the spot, submit its design and plans to the railways before proceeding with the work. According to Jain, this is the first time such a civilian contract would be handled by the Army. The development came a little over a month after 23 commuters were killed in a stampede on a narrow FOB connecting WR’s Elphinstone Road with Parel on Central Railway on September 29. Sitharaman, Goyal, Fadnavis and other officials earlier on Tuesday surveyed the Elphinstone Road station to take stock of the improvement works in progress post-stampede. The move to involve the army for urban civilian works in peace-time attracted strong criticism from opposition leaders, including Punjab Chief Minister Amarinder Singh and Mumbai Congress President Sanjay Nirupam, former Jammu & Kashmir Chief Minister Omar Abdullah and a passengers body. “The army job is to train for war, not to be used for civilian works Sitharamanji. Don’t divert defence resources to civilian jobs. You’re doing what General Kaul did with the 4th Division before 1962 war with China. It will set a very bad precedent. Pls avoid,” tweeted Singh, a former Army captain himself. “The army was to be a measure of last resort to be called upon in extreme emergency. Now it seems like it’s the 1st number on the speed dial,” said Abdullah. Rail Yatri Sangh National President Subhash Gupta termed the decision as “a slap in the face of railway engineers” and one which raised “serious question marks” over the capabilities of the massive engineering department. “It’s the duty of the railway engineering departments and their engineers to construct bridges on an ongoing basis throughout the year. If the government feels that army can do it faster, then the railways should start recruiting people from the armed forces,” he said. The proposal had been first mooted by Mumbai BJP President Ashish Shelar. Earlier, the Army helped construct a foot overbridge during the 2010 Delhi Commonwealth Games when an under-construction bridge outside Jawaharlal Nehru Stadium, the main venue for the event, collapsed days before the games were to start. The new bridge was built within five days. The Army was also involved in making pontoon bridges across the Yamuna last year when a World Culture Festival was organised on the flood plains of the river by the Art of Living group. Involving the Army for the private event was criticised by many.